A significant change in the uniform guidance is the refocus from compliance to performance. To complicate matters, there are other significant federal legislative actions that reinforce the shift from compliance to performance. This means heightened scrutiny on performance and results, and new expectations. That's why the grants community must know what moving to performance involves. Here's where to start. 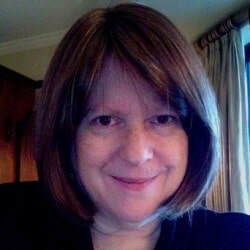 Karen Norris is nationally recognized in the grants community as a consultant and Subject Matter Expert (SME) for k4rnoco - a K4ren Norris Company in Gaithersburg, MD. She previously served as a grants administrator for educational institutions and as an author and managing editor for national publications. Norris has served on the Board of Directors of professional associations. She has responded to information requests from the U.S. Senate Subcommittee on Federal Financial Management. Norris has served as a federal reviewer for the U.S. Department of Education and the U.S. Department of Agriculture. Knowledge of strategies for effective program and project design and development. Knowledge of how to craft, construct, and submit an effective grant application. Knowledge of post-award grant management practices sufficient to inform effective grant design and development. Knowledge of nationally recognized standards of ethical practice by grant developers. Knowledge of practices and services that raise the level of professionalism of grant developers.